Earn upto 5$ (300 INR) daily by watching videos. They have different categories such as food, movie reviews, app trailers, viral, celebrity/entertainment, sports, and news. You can choose any video. Get upto 15 points for watching one video. They do not pay. They send your points to their partner program. To collect their rewards, you must have an account in any one of their partner program like Point prizes, coins rewarder etc. This is only for US, Canada, UK, Netherland, Switcher land etc. Others can access this by changing VPN to above mentioned countries. This also same like engageme.tv. In this earning is easier than other tv network. They have different playlist such as Careers, Entertainment, Fashion, Fitness, Food, Health, Health, Hobbies, Home &amp; Garden, Music, News &amp; Politics, Parenting, Personal, Sports, Finance, Technology, Travel and Wedding. Get up to 3 swags point for watching one playlist’s video. They have minimum withdraw limit of 500 swag bucks which is equivalent to 5 $ worth. Get 20 swag bus for signup bonus. Key way to earn swag bucks: watching videos, completing surveys, sign in bonus daily 1 swag buck. Get bonus bucks for completing daily goal, surveys, purchase, use iOS phone, browsing and referral. Payment type: PayPal, gift cards, charity fund donation etc. 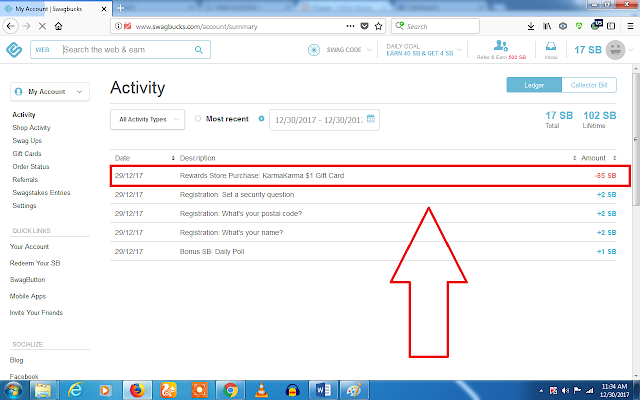 Referral earning: Get 10% of their earnings for life long. That means if your friend earns 500 SB, you’ll get 50 SB. Click here to join, it is suitable for all countries. 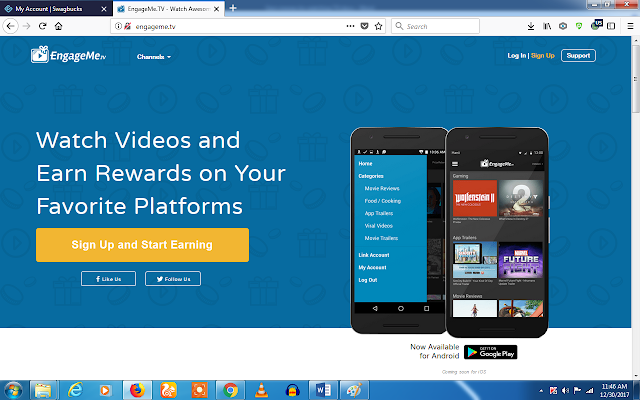 Get paid for watching videos, browsing, pop under ads and referral. It is only suitable for US and Canada other can try, if you have US/Canada friends circle. Get 5 % as referral commission. Click here to join. It has minimum withdraw of 3 $ Paypal. It is one of the highest paying TV network. Get up to 0.01 $ for watching one play listed videos. 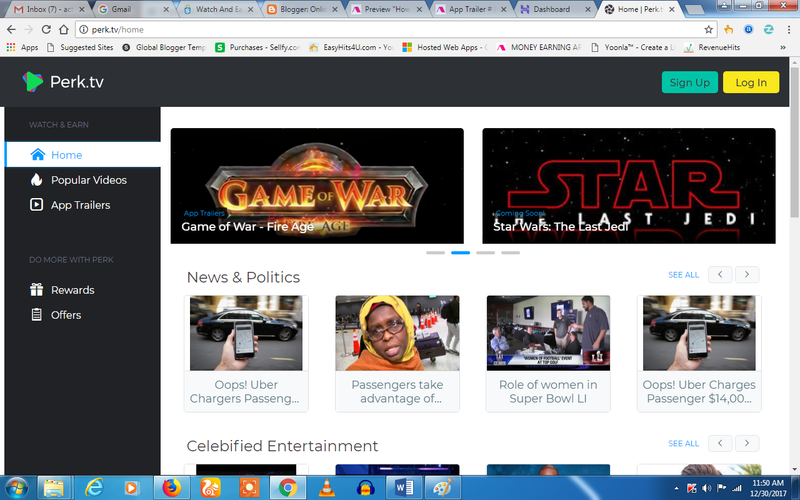 They have some categories such as trending videos, Movie trailers, Viral GIFs, News, Sport videos, Comedy videos and Health videos. Minimum payout is $ 10 PayPal. It consumes more data to get output. Those who are having free data try this. It is auto run tv program, no need to sit and watch. Referral: Get 10 % bonus of your friend’s first 20 days of earning. 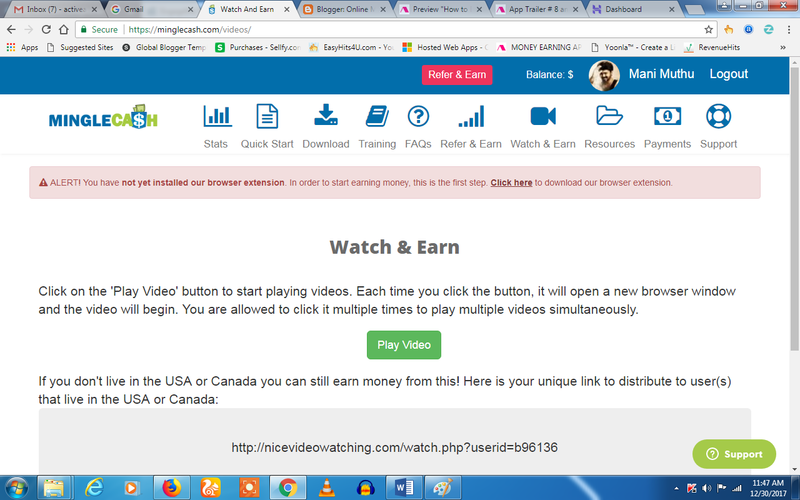 Earn free gift cards, PayPal cash by Watching perk videos such as DIYs, Movie review, app trailer, viral videos etc. Also see the full details about perk tv and app trailer. This is same as rewardable tv. Good Luck!!! Have a Nice Day….